The ambulance and car involved in the accident. Picture by Sandy McCook. 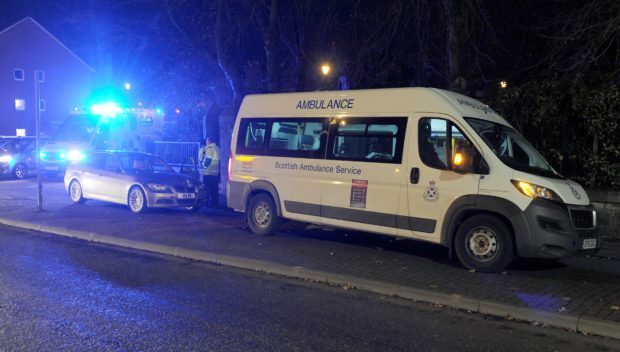 A rush-hour crash near a busy Inverness roundabout caused some delays in the city centre. A BMW car and a hospital patient transfer vehicle were in collision close to the Shore Street roundabout at around 5pm. The emergency services were called to the scene and the vehicles were quickly moved onto a pavement and traffic flow soon resumed to normal. The accident was described as minor and no one was seriously injured.